1. Casa Marioarei is based in Chisinau and offers social, psychological and legal help to victims of domestic violence throughout Moldova. It is the only centre of its kind which provides a national service. Many of their expert team work on a voluntary, or low-fee basis and they raise virtually all of their own funds from local women's groups and other donors. 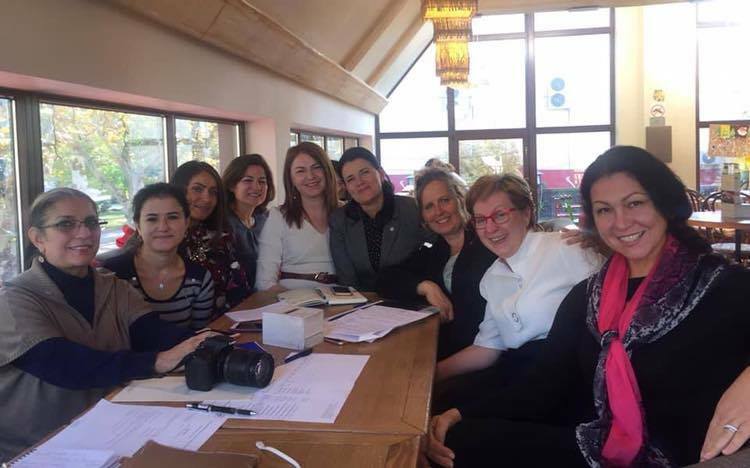 This year IWCM provided funding to help them attend the WAVE (Women Against Violence in Europe) conference in Rome so that they could network, share experience and become a more powerful voice for women's rights in Moldova. 2. Children's Hospital Nr 3 "Valentin Ignatenco", Chisinau (Spitalul clinic municipal pentru copii "Valentin Ignatenco") IWCM joined forces with QSI International School to buy two EKGs (electrocardiograms) for the hospital, which houses the main accident and emergency department for children in Chisinau, as well as specialist departments such as pediatric cardiology. The new EKGs allow doctors to monitor heart rates and diagnose heart diseases much more accurately than they could before, saving the lives of many children in Moldova. 3. Compasiune is a local NGO in Costesti, which aims to improve the lives of the disadvantaged and vulnerable in the community. This year the IWCM supported the "Third Age Club", a regular meeting for elderly women during the winter months of 2010/11. Together they sewed traditional Moldovan costumes, cooked Moldovan food, sang folk songs, talked and supported each other. Young people also joined the meetings so that traditional skills would be passed on to future generations and as a result, a new bridge has formed over the age gap left by parents travelling abroad to work. The Third Age Club strengthened the community, educated the young, recognised the skills and experience of senior citizens and kept Moldovan traditions alive. It also combated feelings of hopelessness and isolation amongst the elderly by providing a sense of purpose and a warm and cheerful place to gather. 4. Dancu Tabita, Dancu, r-nul Hincesti. This charitable organization, established by Dancu Baptist Church, is building a Youth & Community Centre, which will house an internet cafe and IT training suite, a teaching classroom, a resource library and a large meeting room which will be used for community and recreational activities. IWCM contributed by buying sports & musical equipment for young people, play equipment for toddlers and English teaching materials for adults and children. 5. Freedom Home offers female victims of human trafficking and their children a secure home where they can recover from physical and psychological trauma and prepare to reenter society as restored women. During their stay residents benefit from programs to improve their emotional, mental, spiritual and physical health, self esteem, education, job skills and financial awareness so that they can eventually lead more independent lives in safety. Accommodation is shared, so respect for others is especially important. IWCM helped by funding wardrobes and storage cupboards so that the women could show consideration to each other by keeping shared spaces tidy and feel valued by living in a pleasant environment. 6. Gimnaziu Sadova Sadova is a rural community with a population of just under 3000. It has one combined primary and secondary school (Gimnaziu Sadova) and few sports or recreation facilities for the 170 children who attend, or for the many teenagers who travel daily to neighbouring high schools. There is little to do outside school, especially for older children and teenagers and this has a negative impact on them and the wider community. To counter this IWCM funded materials for a sports court which was built by volunteers from the community, including the older children, teenagers and adults. Volunteers also now organise activities such as basketball and volleyball to promote health awareness and values such as respect, fair play, teamwork and leadership. 7. Impreuna Community Social Assistance Centre (Impreuna, Centru comunitar de asistenta sociala din Olanesti) IWCM joined with other donors to fund playground equipment at this centre, which supports vulnerable mothers, children and senior citizens. The children now have a safe area where they can be active and have fun and the playground is a happy and lively social focus for the community. 8. Lyceul Stefan cel Mare, Bravicea, r-nul Calarasi students at this High School decided to improve life for their community by improving the environment. They organized a clean-up campaign in the village and took part in an art and creative writing project to raise awareness of environmental issues. IWCM supported the project by buying paint and brushes so that the students could turn the winning entries into a mural to decorate one of the classroom walls. 9. The Regina Pacis Foundation has been active in Moldova for many years. It provides material help, moral support and social assistance to those facing difficult conditions, especially vulnerable children, victims of human trafficking, the elderly and other socially "at risk" groups. Last year IWCM supported the Child Placement Centre (please see our 2010 beneficiaries page for more information) and our members continue to collect unwanted plastic bottle caps, which the foundation sells to a local factory where they are recycled into closures for pipes. With the money raised, the foundation provides daily hot lunches for hundreds of needy people in Moldova, including the elderly and people with disabilities. 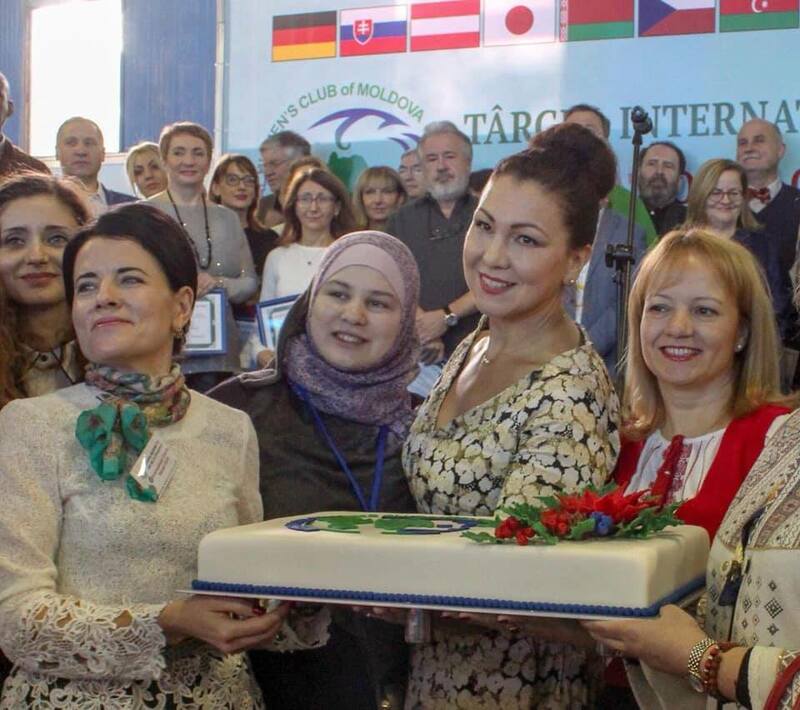 This year IWCM funded furniture and equipment so that the foundation could open a "Communication Club" at one of their lunch distribution centres in Chisinau. The Communication Club is a space where staff can now offer social support through counseling, community activities and educational sessions for the elderly and other vulnerable groups in the community. For more information about the Regina Pacis Foundation, including how you too can help by collecting bottle caps, visit www.reginapacis.org 60 bottle caps = 1 loaf of bread! 10. Soarta is a community association in Soroca which helps needy and socially vulnerable groups in the community. Amongst the many activities and support programmes they run is an "Art Club" for the elderly and this year IWCM funded all the necessary materials and equipment. The Art Club gives senior citizens a chance to overcome loneliness, stay physically and mentally active and to contribute to society - the more able members volunteer to visit and help the housebound members of the community. 11. Soldanesti District Hospital Paediatric Department (sectie pediatrie, IMSP Spitalul Raional Soldanesti) IWCM funded the renovation of decrepit and unsanitary bathrooms used by staff and patients (mothers and children) at the hospital. The staff now also run a health education programme to teach mothers about personal hygiene and bathing techniques for themselves and their families. This has made an enormous difference to many - good hygiene prevents disease and saves lives! 13. TB Rehab Centre for Children, Tirnova (Centrul ftiziopneumologic de reabilitare pentru copii "Tirnova") is a state-run medical facility for children aged 4 to 16 who are either recovering from tuberculosis, or who are at risk of contracting the disease. At any one time there are around 200 children at the centre from different social backgrounds including disadvantaged families and children's homes throughout Moldova. A typical stay is 4-8 months, although some children have to stay much longer - sometimes more than a year - and others are returners. IWCM found the centre in an appalling state with dilapidated, damp and dangerous conditions: buildings falling apart, inadequate heating & lighting, blocked water pipes, dire sanitation and an urgent need for everything from major renovation to basic, everyday items. Last year IWCM bought towels, sports equipment and an electronic keyboard so that the children could get fit and have fun by playing sports, games and music. Our former Co-President, Charla Chaudhry also brought the centre to the attention of other generous donors and IWCM joined forces with the U.S. State Department working through Counterpart International, the U.S. European Command, LDS Charities, the Rotary Club, the Moldova World Children's Fund and Sun Communications. In total over $1.25 million was committed to renovation works, which this year brought about a huge improvement in living conditions for the children undergoing treatment at the centre. 14. Tuberculosis Sanatorium Kindergarten Nr 110, Chisinau. Just over 50 children at this kindergarten are being treated for the closed form of tuberculosis. They stay in the kindergarten during the week and return to their families at weekends. Although they had an outside area where they could play, what little playground equipment they had was broken and dangerous. IWCM paid for new equipment so that they can now have healthy & safe fun in the open air.